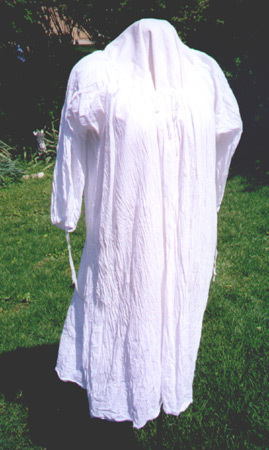 18th Century chemise in cotton gauze. 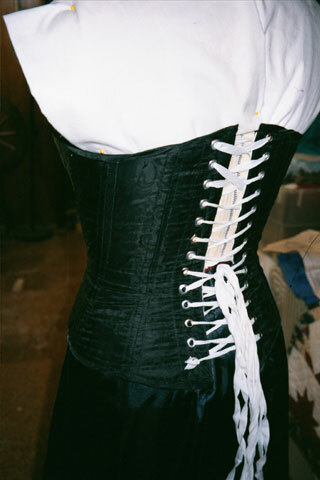 Underpinnings - Striped cotton petticoat and cotton twill corset. 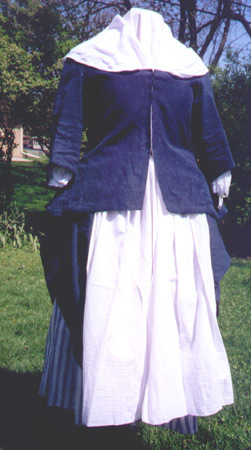 18th Century middleclass woman's clothing - jacket and skirt in blue linen. 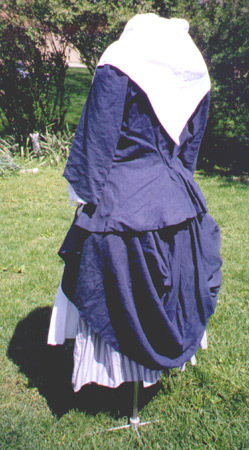 Back view of blue linen outfit. 18th Century Costume - Stripe and floral print jacket - I wore this outfit as "Little Bo Peep" to a costume competition and won tickets to "Joseph And The Amazing Technicolor Dreamcoat" starring Donny Osmond. Not bad for something I just pulled out of the my closet! 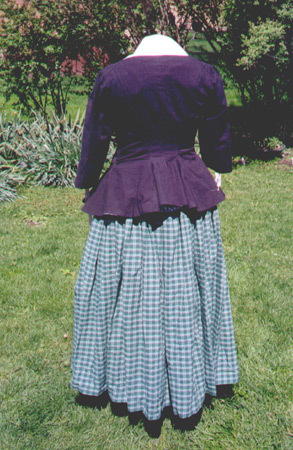 Back view of 18th Century stripe and floral jacket. 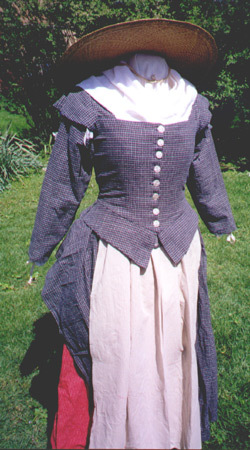 18th Century woman's outfit - Black linen jacket over gray twill corset. Cotton skirt in green, white, and black. 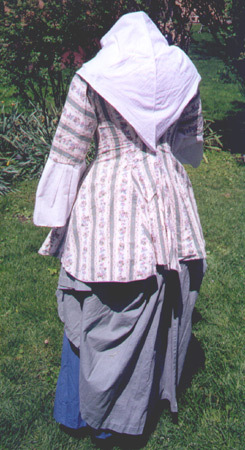 Back view of 18th Century woman's outfit. 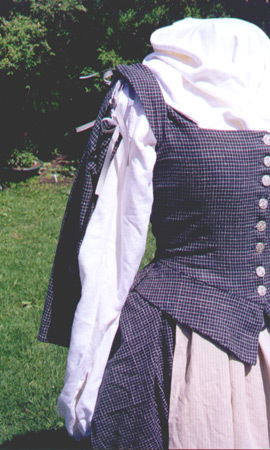 Elizabethan middle class costume - It's made of linen/cotton blend in dark blue with a beige check pattern woven in. 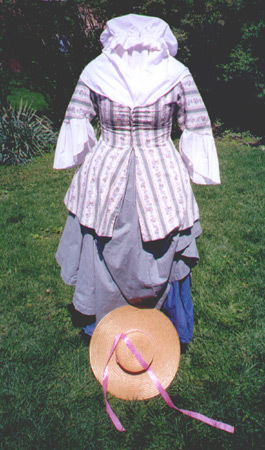 The underskirt is also linen/cotton in red with a white stripe woven in - apron is the same in beige. The buttons are cast pewter from Jas. 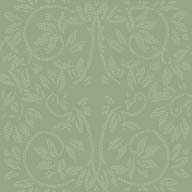 Townsend & Sons. 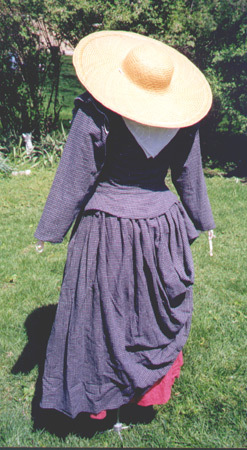 Back view of Elizabethan middle class costume. The straw hat is middle class style of headwear. This shows the sleeve partially removed. They tie into the armscye with ribbons though brass rings. Eventually, it will have a set of red sleeves to match the apron - More mix and match. 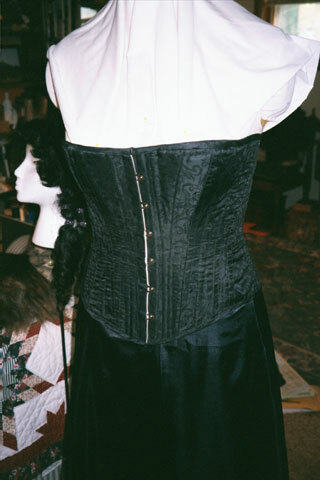 Here is a front and back view of the Victorian corset I made to wear under my Sadie costume. I made it from the Laughing Moon Corset pattern and it went together beautifully. 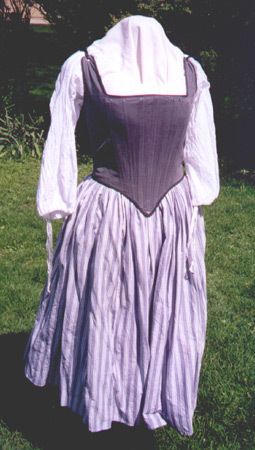 This is one of the Regency dresses I made for a Napoleonic re-enactment near Nice. It is made form a simple cotton calico as I was portraying a working class woman. The blue jacket is madce from cotton flannel and is called a 'spencer'. Here' a closer shot of the top of the outfit. I liked the gathers across the front, but in my other Regency dresses I will not make the back gathered, it seems a bit odd to me. And here's what it looked like when I wore it at Napoleon's Return in Golfe-Juan, just up the coast from Nice. Okay, so I got a little silly. It happens. Here you can see the puff tops of the sleeves and the gathering across the front of the bodice. This dress also buttons up the back.